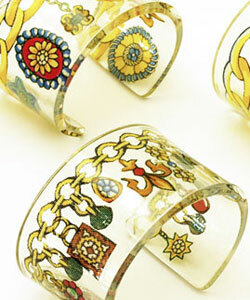 These cuffs were designed as a result of the recent charm bracelet craze. Each cuff is unique, with individual charms such as bells, butterflies, jewels, and fruit. They are available in various widths.